The aim of this prize is to reward and stimulate creative initiatives by professional photographers often bound to assignment work. DEADLINE EXTENDED TO 10TH JANUARY 2011. There is just one main category in the competition, each entrant may submit up to 3 pictures. Pictures already entered into another FEP Competition will not be eligible. PRIZE DETAILS: The winners will be awarded at a special ceremony at the Second FEP European Congress of Professional Photographers, to be held in Lyon, France, on February 6th to 8th 2011. The awards will consist of certificates and an “FEP European Fine Art Photograph of the Year Award” trophy. Results will be published in the press and on the FEP Web Site . 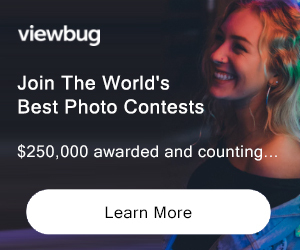 ELIGIBILITY: All professional photographers Not eligible to enter? - Find contest where you are. COPYRIGHT: All rights relative to the images entered in the competition remain property of their owners USAGE RIGHTS: The FEP reserves the right to reproduce images entered for the purposes of promoting the event or for educational reasons only. The winning images will be displayed on the FEP website and might travel as exhibition.